Complaint: This one service adviser, Kathy, is absolutely terrible when it comes to customer service. I waited the entire morning for a call back from Kathy regarding an update to my vehicle's service status. I was told several times that she would call me back, but that never happened. After several more attempts to contact Kathy to find out the status of my car, I finally received a message from the receptionist that my car was all set for pickup (I never did speak with Kathy since she did not acknowledge me at all during my calls). Apparently, I have a co-worker who also owns a Toyota, and she has had similar problems with this service adviser. 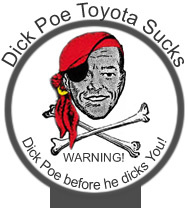 Can't Ira Toyota simply acknowledge this problem adviser? All that I want is a simple apology from someone at Ira Toyota for having to wait the entire day for a simple battery replacement. It is staff members like Kathy who do not give Toyota a good reputation at all.